For the ultimate off-road drive, check out the Polaris S4 Razor designed for side-by-side fun, these robust vehicles are suitable for those who wish to have a passenger with them. 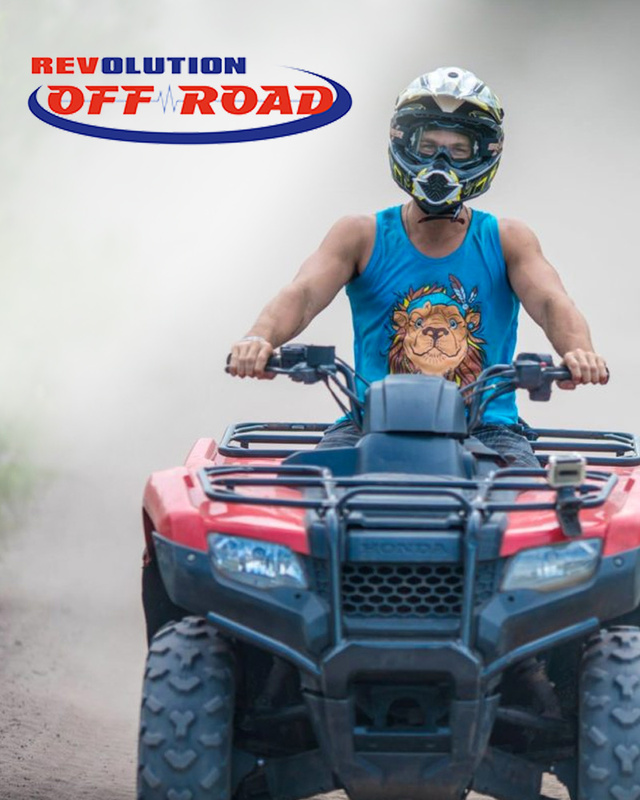 They use the same trails as the ATVs but you must be over 21 years of age with a full license to drive and 25 years of age with a full license to drive with a passenger. "Whatever the weather you should be prepared to get dirty maybe very dirty. " For the ultimate off-road drive, check out the Polaris S4 Razor designed for side-by-side fun, these robust vehicles are suitable for those who wish to have a passenger with them. They use the same trails as the ATVs but you must be over 21 years of age with a full license to drive and 25 years of age with a full license to drive with a passenger. "Whatever the weather you should be prepared to get dirty maybe very dirty. " This Experience includes Driver plus ONE Passenger. Now is the chance to take your family off-road on a unique, safe and fun off-road adventure in the market leading 4 seat vehicles. This vehicle uses the same trails as the ATVs but you must be over 21 years of age with a full license to drive. and 25 years of age with a full license to drive with a passenger. "Whatever the weather you should be prepared to get dirty maybe very dirty. " This Experience includes Driver PLUS One Passenger. Now is the chance to take your family off-road on a unique, safe and fun off-road adventure in the market leading 4 seat vehicles. This vehicle uses the same trails as the ATVs but you must be over 21 years of age with a full license to drive. and 25 years of age with a full license to drive with a passenger. "Whatever the weather you should be prepared to get dirty maybe very dirty. " This Experience includes Driver PLUS Two Passengers. Now is the chance to take your family off-road on a unique, safe and fun off-road adventure in the market leading 4 seat vehicles. This vehicle uses the same trails as the ATVs but you must be over 21 years of age with a full license to drive. and 25 years of age with a full license to drive with a passenger. "Whatever the weather you should be prepared to get dirty maybe very dirty. " This Experience includes Driver PLUS Three Passengers. Get ready to release the "quackin"
This Experience includes Driver Only. This Experience includes Driver PLUS One Passenger. This Experience includes Driver PLUS Two Passengers. This Experience includes Driver PLUS Three Passengers. Targets flying across the sky look impossible to hit but after some practice and a little guidance from our range master it turns out to be very possible. The firearm of choice for this experience is a high-quality Tri-Star double barreled over and under shot gun with a 26 inch barrel. You must be a minimum of 16 years of age with proof of I.D.to shoot a gun and a parent or guardian present with you.